After the summer lull, things can get exciting again for investors in September. Exciting and tricky. 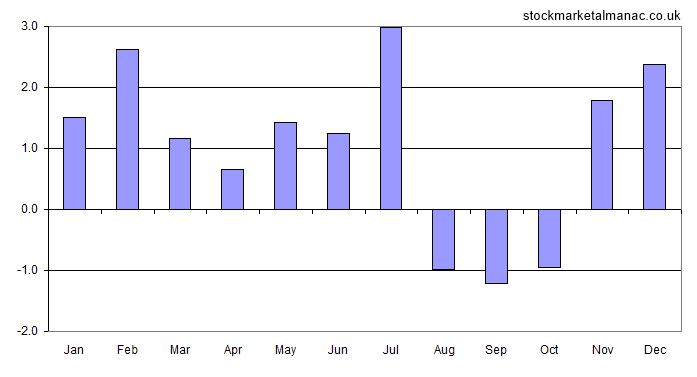 Since 1982 the FTSE All Share Index has on average fallen 1.1% in this month – the worst average return of any month in the year. 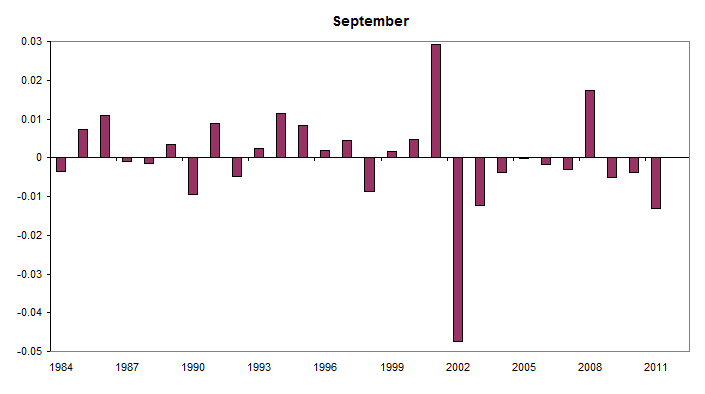 And things haven’t improved recently: since 2000 the average return in September has been even worse at -1.9%. In an average month for September the market tends to gently drift lower for the first three weeks before rebounding slightly in the final week – although the final trading day of the month has historically been one of the weakest of all months in the year. But, however bad the month is for large caps, it is even worse for mid-cap cap stocks. On average the FTSE 100 Index out-performs the FTSE 250 Index by almost a full percentage point in September – making September the worst month for mid-cap stocks relative to the large-caps. This could be something to bear in mind this year: the FTSE 250 Index has risen 22% since the beginning the year against a rise of 12% for the FTSE 100 Index – the mid-caps could be due for a correction. In the last twenty years the sectors that have been strong in September have been: Pharmaceuticals & Biotechnology, Food & Drug Retailers, and Electricity. While on the other side, the weak sectors have been: Industrial Engineering, General Retailers, Chemicals, and Electronic & Electrical Equipment. For stocks, the following companies have performed well in September over the last ten years: Ashtead Group, Diploma, and Carnival. These stocks have risen in at least eight of the past ten years in September – Diploma is the only stock in the FTSE 350 whose shares have risen nine times in September in the past ten years. The shares that don’t seem to like September are: Premier Farnell, Pace, and Compass Group – these three companies have each fallen in September in eight of the past 10 years. 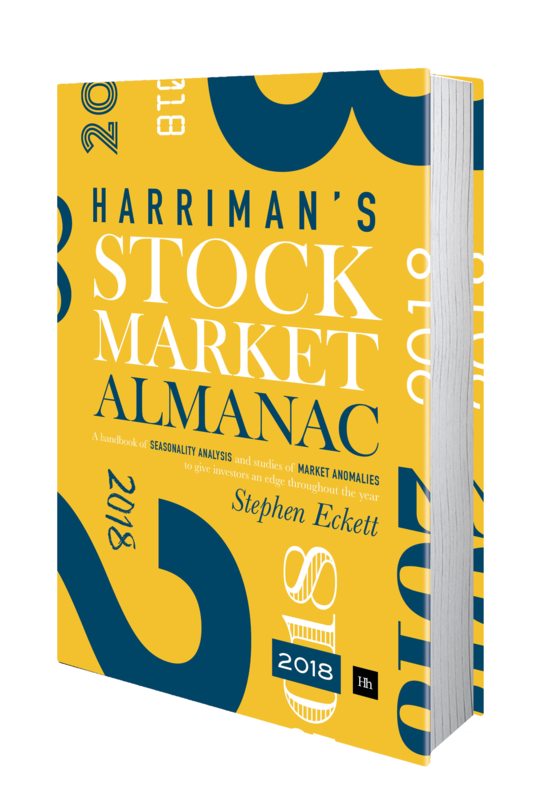 Dates to watch this month are: 2 Sep – the NYSE is closed, 5 Sep – MPC interest rate announcement, 11 Sep – FTSE 100 Index quarterly review, 20 Sep – Triple Witching. Tomorrow (Friday 28 Sep) will be the last trading day (LTD) of September. Historically, the September LTD has been one of the weakest monthly LTDs in the year. 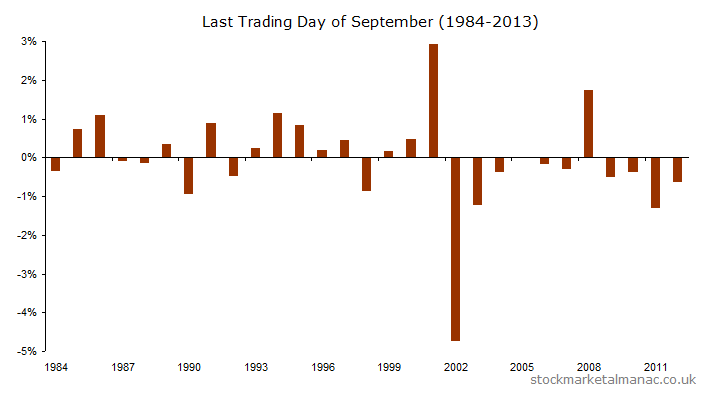 Since 1984 only three months have an average negative return for their LTDs, one of which is September. 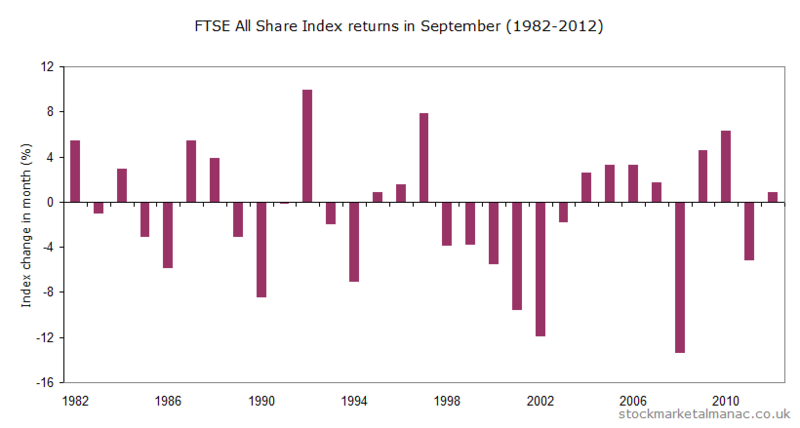 The following chart shows the FTSE 100 Index returns for every September LTD since 1984.